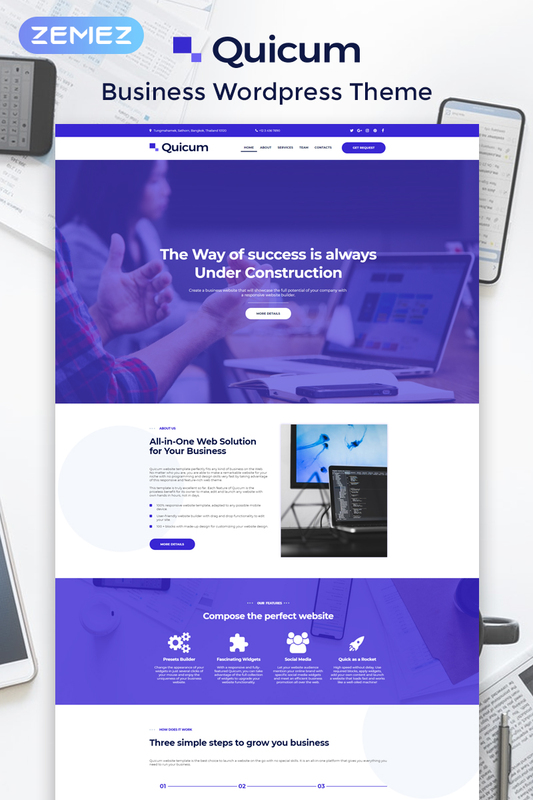 Create a modern website with an intuitive interface and a stylish appearance using Quicum theme. You will be able to present your business consulting services in the most engaging way with this theme. It will be possible to add needed information about your company, a range of services, team members and much more thanks to Quicum theme. Moreover, you will customize the website according to your taste and needs using Jet plugins bundle for Elementor page builder. With JetElements plugin you will enrich the website with useful elements and apply different style settings to them easily and quickly. Using JetTabs plugin you will organize content compactly in the form of tabs or accordion blocks. 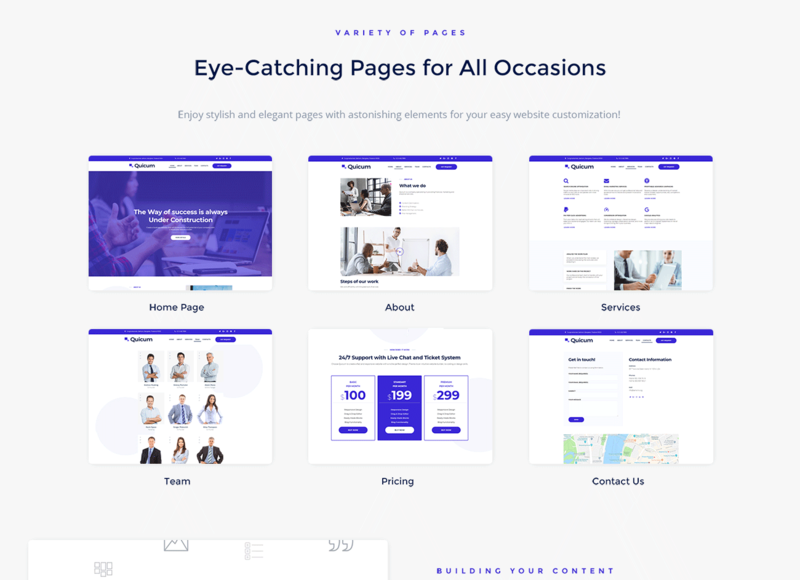 You will create custom headers and footers using JetThemeCore plugin, also you will insert pre-designed section into the pages via Magic Button option. JetBlog plugin will be helpful by adding dynamic blogging widgets. You will get basic utilitary widgets for implementing additional functionality to headers and footers. 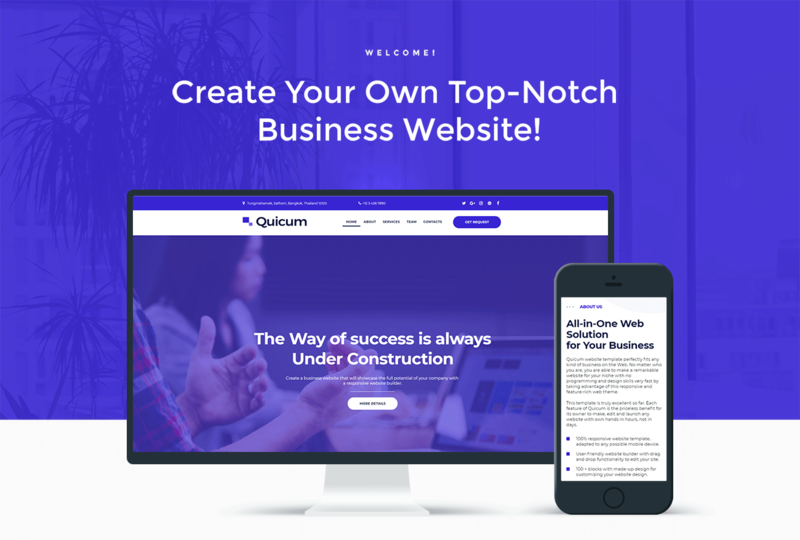 Boost your business services and attract more clients with a fully responsive, bright Quicum theme!